Hello friends, Today I will tell you a method on how to make a fillable form in PDF. You can make a fillable PDF and users can even fill that PDF with their details. You can add an option for others to fill in that PDF. 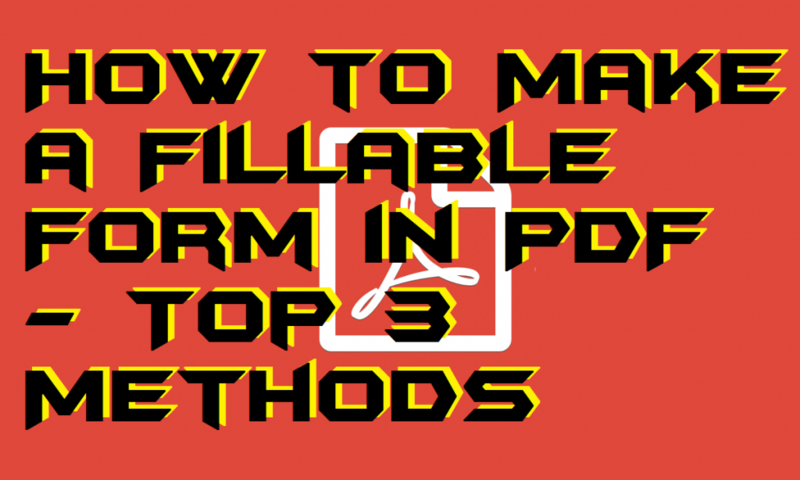 I have shared 3 top methods to make a fillable form in PDF. You can even create an online PDF and share the URL with your desired ones to fill that PDF. 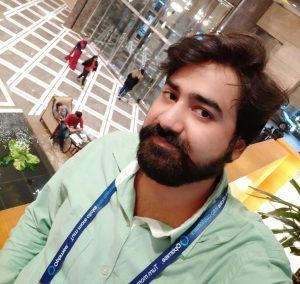 0.1 What are the uses of Fillable Form in PDF? What are the uses of Fillable Form in PDF? PDF fillable forms are found very useful in banks, schools, colleges, and on other areas. PDF fillable forms can also be very useful if you are running a business and need some employees. The best part of the fillable PDF forms is that they cannot be edited by an editor so that the piracy is maintained. And the other best part if that the time is saved by both the persons that are the organization and the applicant. However, sometimes it made harder to make some changes to the fillable PDF forms. Because some peoples save the PDF and use it whenever they want without having a look into the updated form (updated forms are made because of policy changes). This is the section where you will be introduced to the method, and you will learn that how to make a fillable form in PDF. As we have seen earlier that what are some uses of fillable PDF forms. Now, it the time to learn how to make a fillable form in PDF and create to it yourself. However, I am going to tell you that how to make a fillable form in PDF in the simplistic way ever. Below I have shared three different ways to know that how we can make a fillable form in PDF. So, let’s check out all the methods one by one and learn how to make a fillable form in PDF. Using Office suites we can make a fillable form in PDF. But, there are some pre-requisite to making sure you have them before you know that how to make a fillable form in PDF. The thing which you need is Microsoft office or any other office suite in your PC/Mobile. If you are using windows, then you can use Microsoft office otherwise use any else for Mac. For Android and iPhone use any office suite from app stores. Open the Office Suite which you have on your device. Then, in that application, make your fillable form. Enter the details and use underscore in front of them to make that field fillable. You can use more inbuilt tools from the word app or document-making app if you want. When you are done with the form, then Go to the File tab. Now, click on Save As button. After that enter the name of the file. Then, in the format section use the .pdf file format and save it. Now, you will see that you have successfully made a fillable form in PDF. We all know that Adobe Acrobat DC is the best tool for managing PDFs. So, in the same way, Acrobat DC is going to help us to learn how to make a fillable form in PDF. A user can create a fillable form in PDF by using Adobe Acrobat DC very quickly. In this guide, I have shared a method to know that how to make a fillable form in PDF using Adobe Acrobat DC. Open Adobe Acrobat DC on your PC/Laptop. Click Tools then click Open and select Prepare Form. Then, click Select a file. Select the file which you want to convert into fillable PDF. Then, click on Start button. Now, review the fields of the document. Then, click Add new field to add a field. Organize the thing which you want using the options. Lastly, save your file in the PDF format. JotForm is an online tool which allows you to make a fillable form in PDF. It also allows a user to upload a PDF to make it a fillable PDF form. It also offers a feature to convert its file into PDF so that user can get the fillable PDF form easily. Head up to the below guide and check that how to make a fillable form in PDF using JotForm. Go to the JotForm website. Then, click on Create a fillable PDF form. Now, click Create under the Create PDF Form option. Then, follow the on-screen options and create a pdf file. Lastly, save that file into PDF file format and download it. By using this phenomenal way, you can learn how to make a fillable form in PDF. You can take the help of any web-based office suite service as well. But, if you are running an organization then use the above method which I have told you. However, this method is very straightforward to know how to make a fillable form in PDF. I hope using this guide you have now learn that how to make a fillable form in PDF. Share it with your friends, teachers, and other peoples and let them know that how to make a fillable form in PDF.